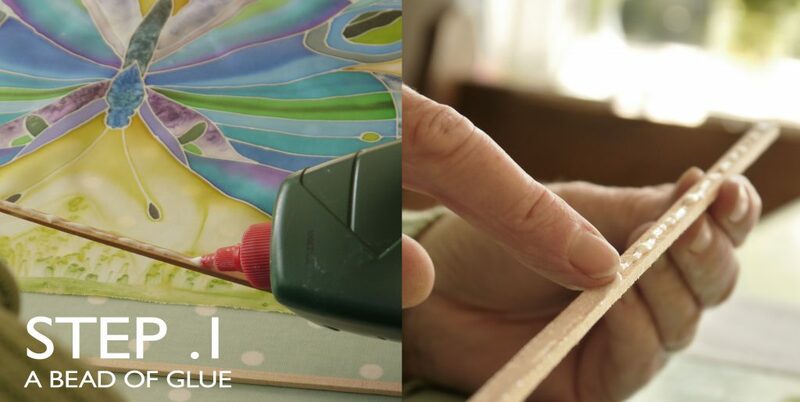 Silk Painting and Batik Artist. Hello my name is Jennifer Douglas and I have been a textile artist for the last 25 years since graduating from West Surrey College of Art and Design. 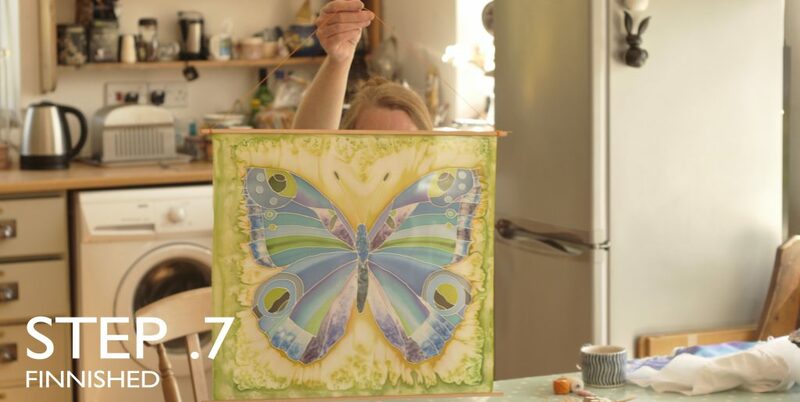 I specialise in making and teaching silkpainting and batik art, and for the last 15 years I have taught silkpainting workshops at Center Parcs, Longleat. jennifer douglas on Memorable Silkpaintings of 2015Thankyou Carol for your lovely comments, I'm so pleased you enjoyed the session and liked my new workshop! Hope to see you next time if you fancy some more silkpainting, Best Wishes Jenny. 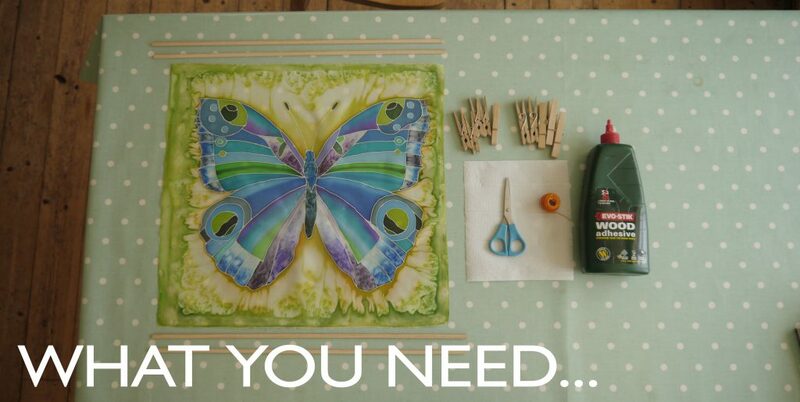 Julie cook on It’s been an owl inspired year!Hi Jennifer, I loved your silk painting course at Centre Parcs . Love all your designs can't wait to return to paint a different one. I am so inspired. Started cutting out glass today to transform my silk painted elephant into a stained glass window. Keep you posted. 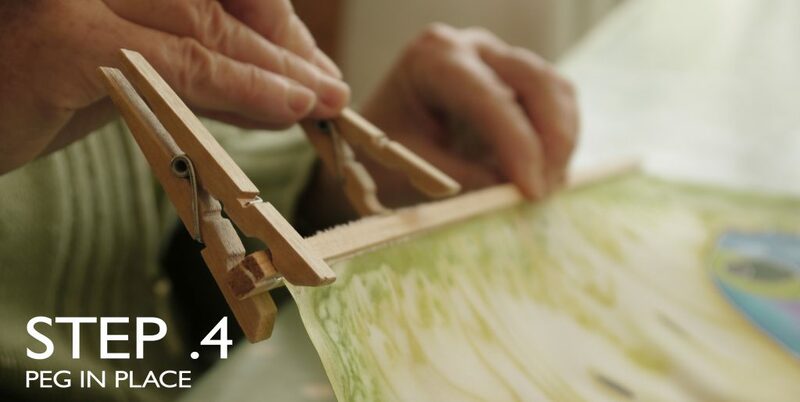 Half-round doweling cut into 4 equal lengths (about 19″) for the 18″ silk sq. Wood glue, pegs for clamping ,ribbon or thread for hanging. Applying a fine bead of glue on the first doweling. Use your finger to smooth excess glue . Position the top edge of the silk onto the glued surface. 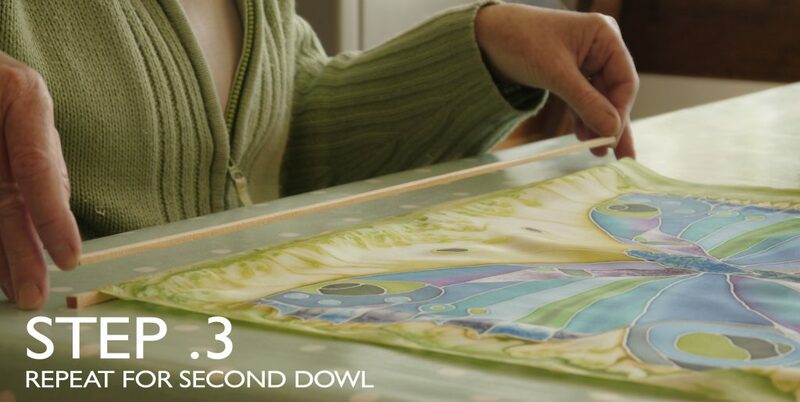 Place glue on the second dowel and position on top of the silk. 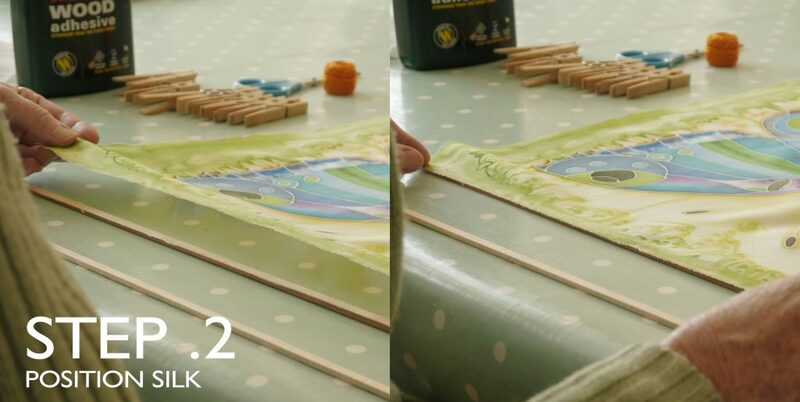 Use pegs to hold the dowels tightly together until dry. 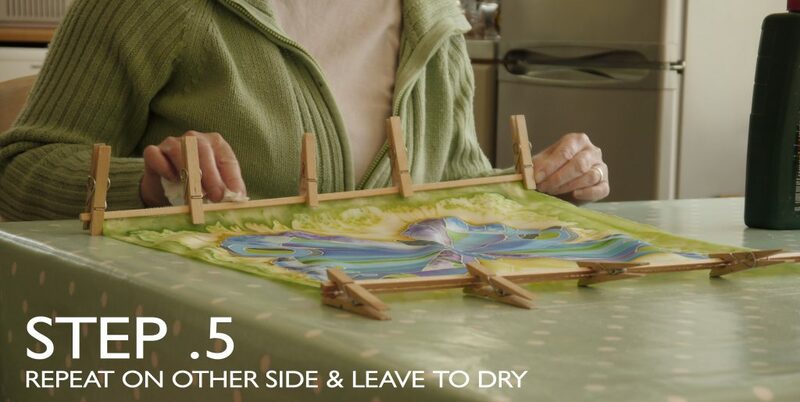 Drying can take about an hour, then remove pegs. 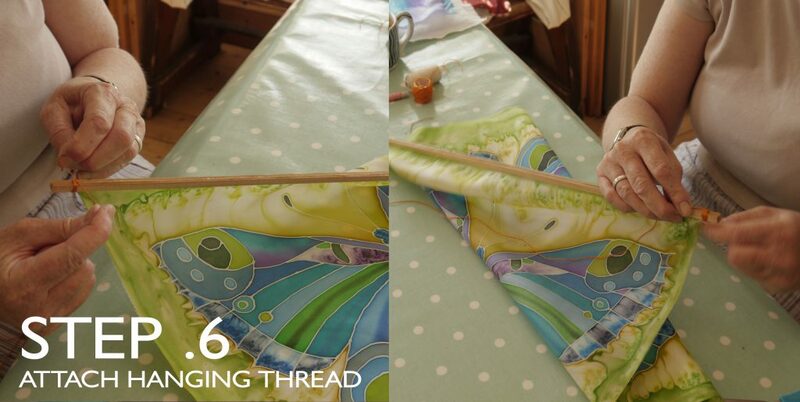 Choose a ribbon or coloured thread which co-ordinates with colours in the silk. Tie securely to each end. what a great way to hang the pictures.